Naming rights for Anfield’s new Main Stand should not be expected to be announced until next year. 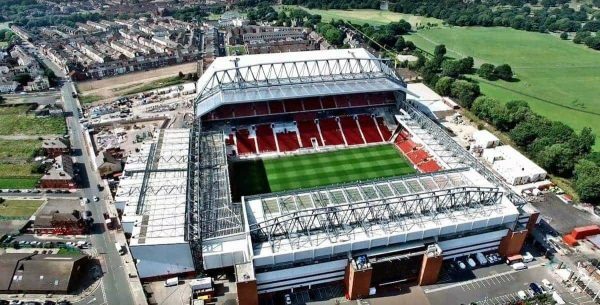 The incredible new Main Stand will be open for Liverpool’s first home game of the season against champions Leicester City on September 10, but an official announcement regarding a sponsor is unlikely to be made until 2017. Club officials have always ruled out selling naming rights to Anfield itself, but remain in talks with several interested parties, based both in the UK and overseas, to become the official sponsor of the Main Stand. However the club are only willing to sign a deal with a long-term partner. Club officials are aware of the tremendous opportunity for a sponsor and are looking for a minimum five-year agreement. With the naming rights estimated at around £5 million a year, the club could be looking at banking at least £25 million from a deal. Sources close to the Main Stand deal suggest potential sponsors have been eager to experience the new stand in all its glory, as well as sample the new facilities and its operational prowess on matchdays. They will get that chance very shortly. Even so, it is unlikely any official sponsor for the stand will be announced until next year. 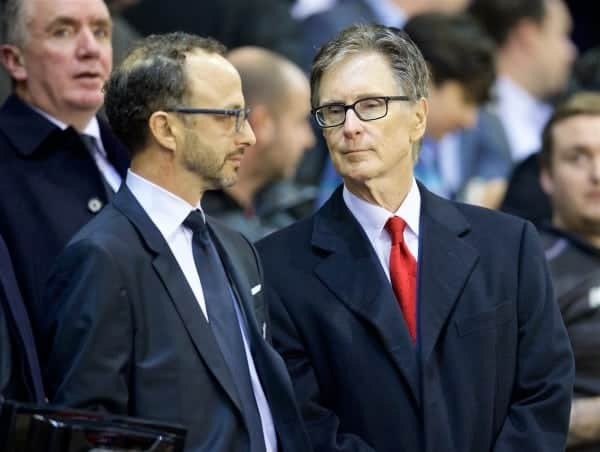 FSG are prepared to wait for the right partner and understand that these deals take time. Likewise, West Ham has still to announce a naming partner for the Olympic Stadium. Several names have previously been linked to naming rights, including Qatar’s Ooredoo and Air China. Meanwhile, it is understood corporate ticket sales have gone exceptionally well, with Executive Lounge seats and packages selling out well over 12 months ago. The redevelopment of the Main Stand will boost Liverpool’s match day revenues by an estimated £20 million a year.